Disclosure: I received a pedometer for the purposes of this review. All opinions expressed are my own. I’ve been trying to walk more. I’m not huge into running, but walking I can do, so that’s how I’m getting my exercise right now. I’m always curious how far I’ve gone, and the Ozeri 4x3runner Digital Pocket 3D Pedometer with Tri-Axis Technology and Dual Walking & Running Modes was just what I need! I have only ever used extremely cheap pedometers before and this one is so much better. I will admit, that when I received my pedometer, I was a little intimidated at all the instructions and varying functions available. But, with time (and very little stress) I was able to get it set up how I like it. This pedometer has a walking or a jogging setting, and you can set how large your steps are to get fairly accurate measurements of how far you have gone. So far, I’ve used my pedometer a few times. Because the pedometer measures a variety of things in getting it’s results, you don’t have to have it clipped to your waist. You can put it in your pocket, in a bag you’re carrying, or clip it to your waist. 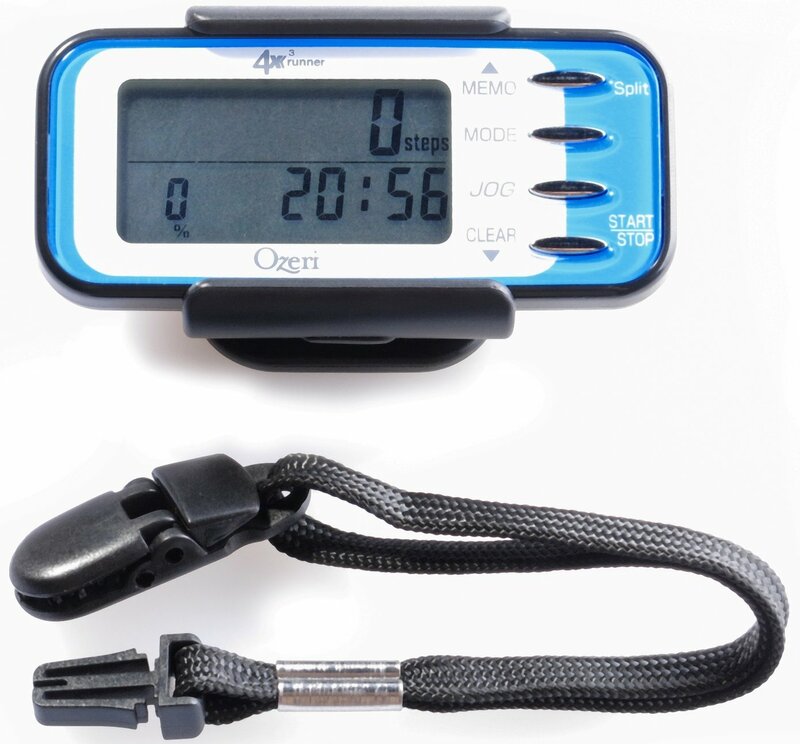 The Ozeri Pedometer can keep track of 30 days of walking or jogging, tell you how many calories you’ve burned, and lets you know how long you have until you reach the goal you’ve set. My main complaint is that this pedometer is a little bulky. Thankfully the clip is strong and I haven’t knocked it off my belt so far, but it does leave a big bulge under my shirt. All-in-all I am very impressed so far. This is a great way for me to keep track of how far I’ve walked and set goals for myself. Whether you are a fitness enthusiast, or just trying to improve your health step by step, this pedometer could be a great help to you. You can find it on Amazon.com here.